Do you know which theatre houses a female phantom who sits in the stalls cradling a blood-soaked severed head? Where can you find an antique wheelchair that moves of its own accord, terrifying those who hear its squeaking wheels approaching? And where in London were two people frightened to death — literally? Answers to these questions can be found in Paranormal London, the latest book by Gilly Pickup. Here, the author shares five of the more unusual spooks from her research, all with a transport theme. Shortly after Bank station opened, people said that it was haunted by a nun. Research showed that she was probably a woman called Sarah Whitehead mourning the death of her brother, a bank clerk who was arrested and hanged for forging cheques in 1811 in the nearby Bank of England. The news drove his sister mad. Every day for the rest of her life, Sarah visited the bank and asked to see her brother. She always did this in mourning dress so staff nicknamed her the 'Black Nun'. Sightings are always accompanied by a wave of sadness and a foul smell. The station has other associations with death. 56 people were killed in the booking hall when a bomb hit the station in the second world war. Another part is built into the crypt of St Mary Woolnoth, while there are rumours of a mass grave for 17th century plague victims somewhere beneath the station. Perhaps the ‘foul smell’ is associated with that. Few parts of the capital can feel so creepy when experienced alone as Greenwich Foot Tunnel. 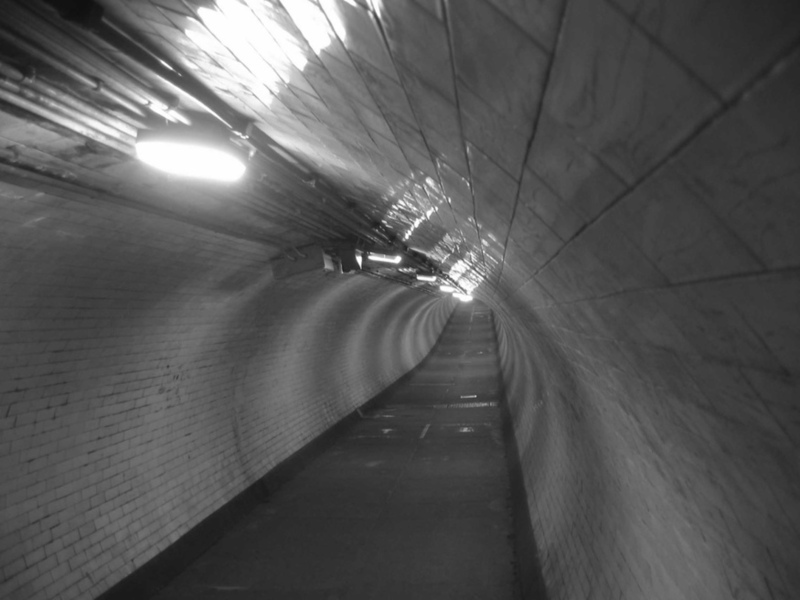 The echoing passage beneath the Thames has been the site of multiple paranormal occurrences. One spirit is that of an eight-year-old girl who has communicated with ghost hunters on several occasions. Perhaps the hauntings can be attributed to the spirits of those whose bodies were moved during construction of the tunnel. Blackwall Tunnel, a little downriver, is haunted by a young man killed in a 1960s motorcycle accident. Sometimes he appears to motorcyclists, flagging them down and asking for a lift to Leigh-on-Sea. He told one of those who picked him up where he lived. Coming out of the tunnel, the driver turned briefly to make a comment only to find his passenger had disappeared. The driver went through the tunnel again but found no sign of his passenger. He was so shocked that he drove to the address his passenger had given him. He was told a man of that description had lived there several years previously but had died. Founded in 1123 as part of a monastery, St Bartholomew’s Hospital has its fair share of ghost stories. The most active phantom haunts the lift within a stairwell. Sometimes when a staff member steps into the lift late at night or in the early hours and presses the button to go to an upper floor, the lights go off. 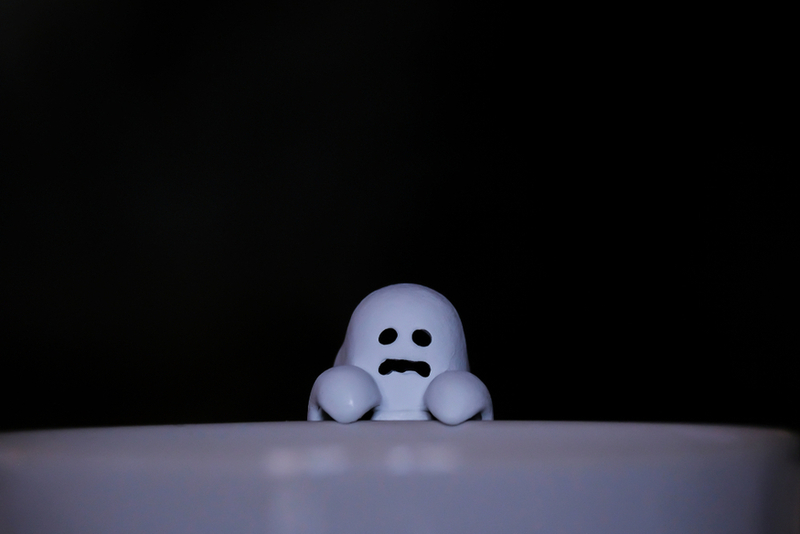 The unfortunate passenger finds themselves moving slowly down to a dark basement. The lift doesn’t budge from there until they get out and start walking up the shadowy stairwell towards their destination – only to realise that they are being followed slowly by the lift. Disused stations like Aldwych and Down Street are popularly known as ghost stations, but more than one active station claims a spook. Kentish Town West, on the Overground, is one such. Recently, a member of the public accompanying a team of paranormal investigators became overwhelmed and taken over by a spirit energy. She describes in chilling detail how she had never experienced anything similar on any other paranormal event she has participated in. 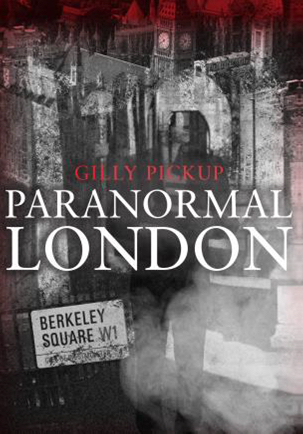 Paranormal London by Gilly Pickup is out now from Amberley. We've given you the Amazon link, but we'd always recommend using one of London's independent book shops. Disclaimer: as a bastion of rational thought, Londonist does not believe in ghosts, but we do enjoy a good supernatural yarn as much as the next person.